When this palette arrived in the mail, I immediately ripped it out of the packaging and gave it a hug. Seriously. 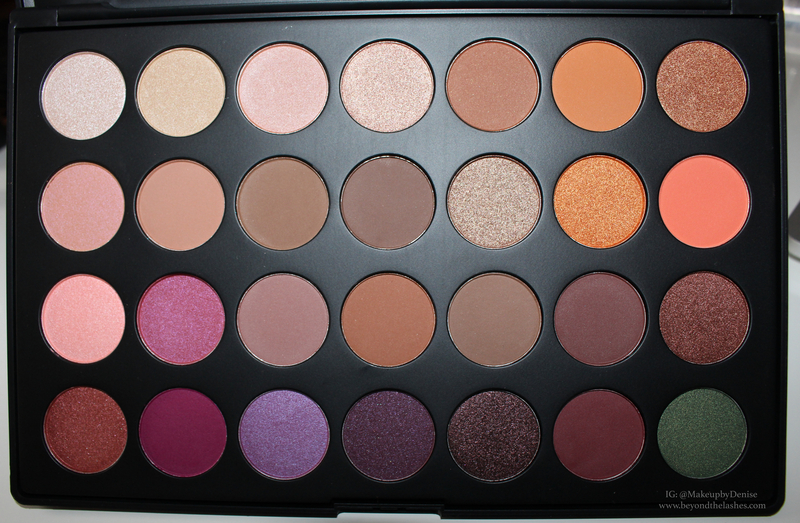 After letting it sit on my desk for two days, I decided it was time to break the palette in and provide swatches for all of your lovers. Now this palette is limited edition and sold out in a record time during its last release, so if you love it as much as I do, try to get your hands on it asap!!! Packaging: The packaging is the stock Morphe Brushes packaging. Black, slim and plastic. The box that contains the palette is printed with a picture of Jaclyn and a personalized message from her. Shadows: This palette is definitely warmer than a lot of other palettes on the market. Which is one of the reasons, I was so excited to use it! I live for warm, earthy tones. 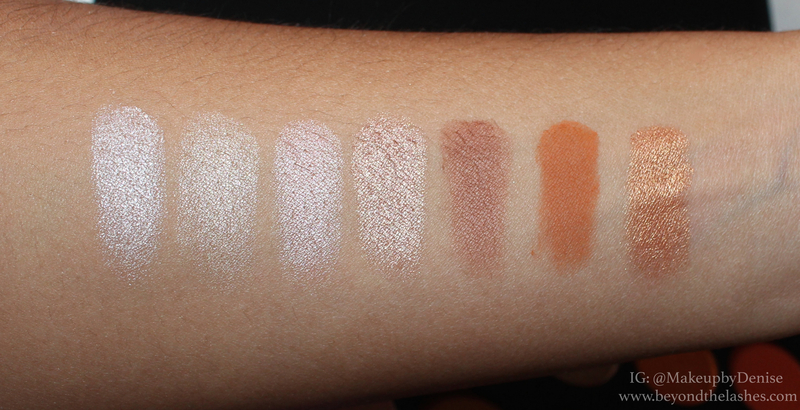 This palette works with all skin tones and can be used across seasons. There is 28 shades in this collection. 12 mattes shades and 16 shimmer to ultra shimmer shades. Texture: They are very rich in texture, buttery and super soft. The color payoff is amazing and true to the pan. If you are one of the lucky girls to get your hands on this palette. Congrats!! It is easily one of the hottest items to get your hands on. For those who are not able to get it, I will try my best to find comparable shades. It is easy to say, this palette is perfect!! Great Job Jaclyn and Morphe. Thank you so much for taking the time to read my post. What do you guys want me to review next? 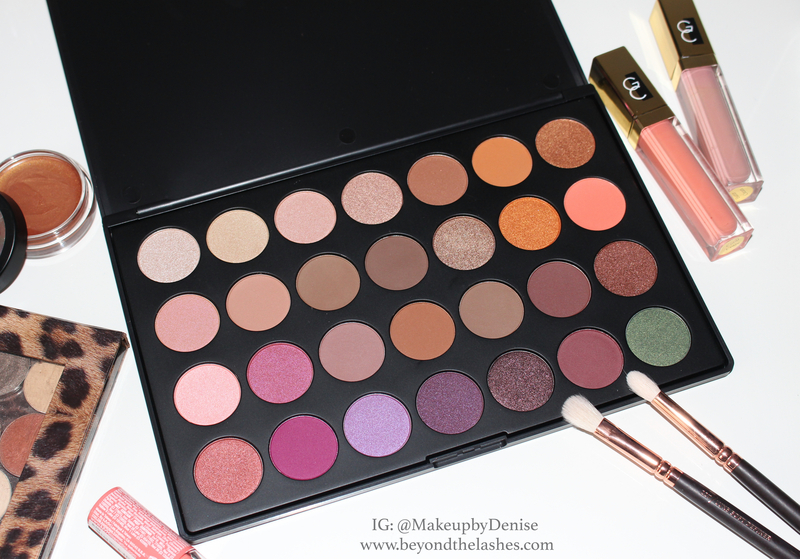 This entry was posted in beauty, Reviews / Swatches and tagged beauty, eyeshadows, jaclynhill, jaclynhillpalette, jacylnhillpalette, makeup, morphe, morphebrushes, palettereview, swatches by makeupbydenise. Bookmark the permalink.